The invention and advancement of concrete pumping capabilities have revolutionized the construction industry. As the types of buildings and architectural designs continue to evolve, so does our concrete pumping technology. 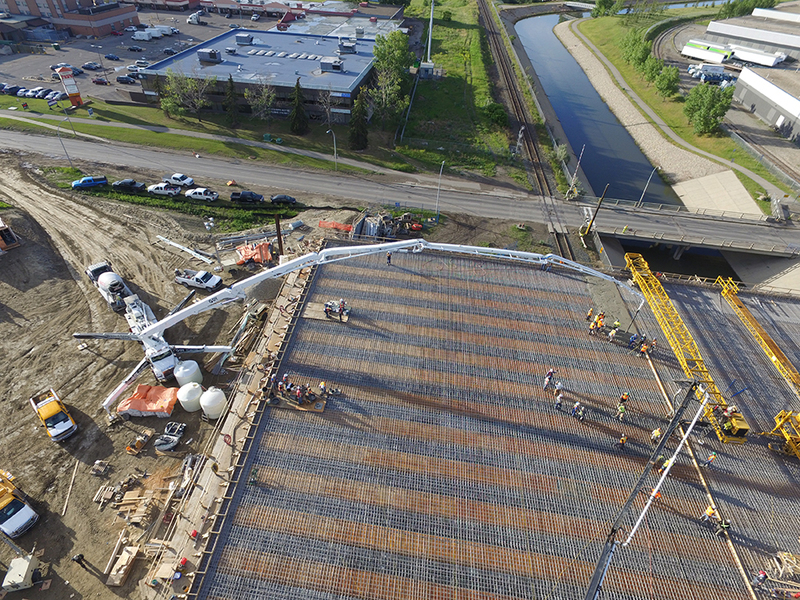 When you’re looking for ways to speed up productivity, improve quality and overcome the challenges of modern commercial construction projects, nothing beats the performance and versatility of a 6-section, 57-meter concrete boom pump. The RZ 57-meter concrete boom pump is our longest and most productive pump for medium to large commercial construction sites. The 57S-6RZ features a 6-section boom that allows for ultimate maneuverability compared to other 57-meter boom pumps available in todays market. Ideal for use as a high-rise concrete boom pump, you benefit from high-performance delivery of materials in tight spaces and to elevated locations for a faster return on your investment. 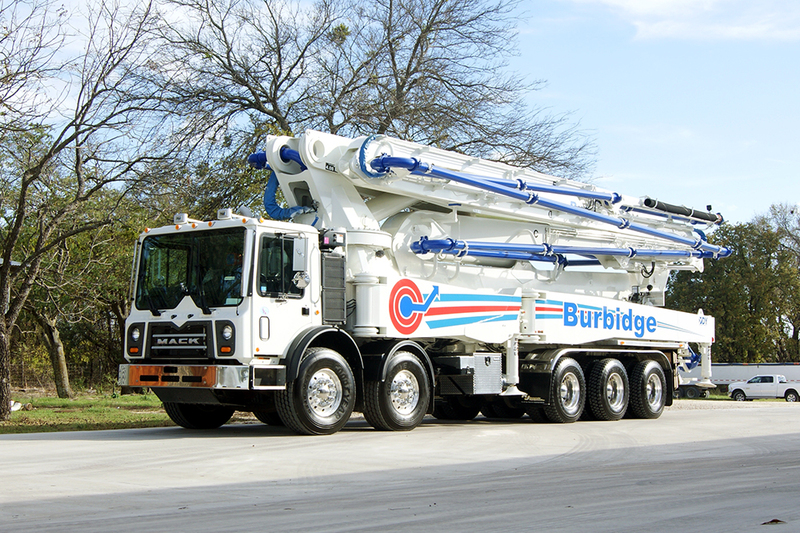 Our 57-meter concrete boom pumps provide a 360-degree continuous swing motion for exceptional mobility. The 6-section design with simplified radio remote controls make it easier for operators to move the boom into the optimal position for less labor intensive pumping of concrete. It’s ideal for pumping concrete to upper floors of a building for walls and columns, as well as for foundations, decks, parking structures and more. 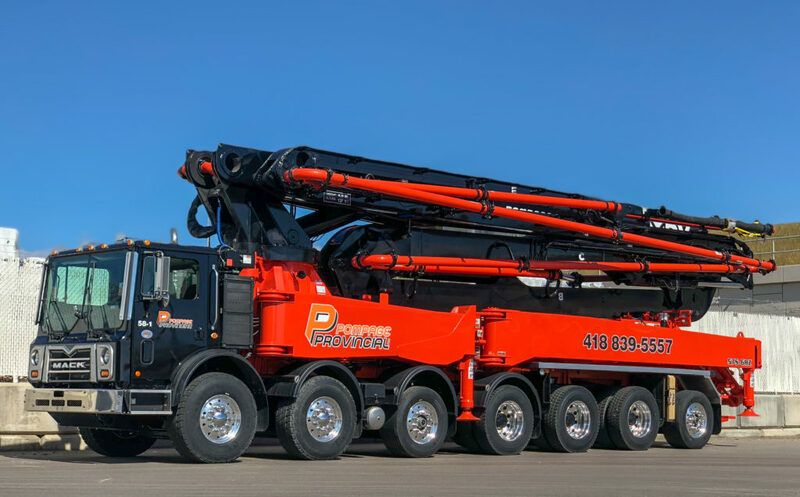 Numerous flexible chassis options make it easy to mount the 57-meter concrete boom pump on vehicles manufactured by industry leaders such as Mack, Peterbilt, Freightliner, Kenworth and Western Star. Advanced closed-loop hydraulic system ensures smooth, efficient pump movement and operation. 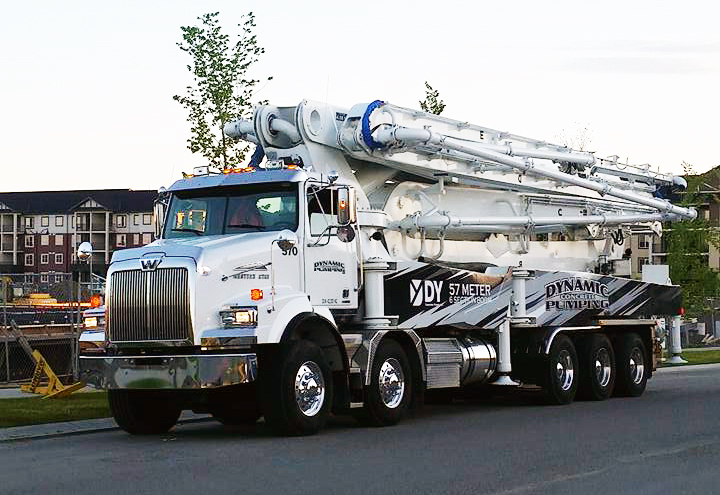 DY Concrete Pumps Inc. calls on more than 30 years of experience serving customers throughout the U.S. and Canada. Our high-quality booms are designed and manufactured using robotic-welded, exceptionally-strong steel for lasting durability. Units also feature manual engine override options for safer performance and are backed by a limited one-year warranty on parts. As a full-service source for commercial concrete boom pumps, DY provides an extensive inventory of replacement parts in stock for all models. Cold climate packages are also available on 57S-6RZ boom pumps to ensure you’re ready to meet all local operating requirements in the winter weather. We offer three strategically placed locations in Calgary, Dallas/Fort Worth and Tampa, so we can get you the parts you need fast and eliminate costly downtime. DY Concrete Pumps: Taking Utilization to a New Level! The most significant and challenging commercial construction projects call for innovative solutions that save time and money while delivering results. Our 6-section, 57-meter concrete boom pumps help you get more work done in less time, lowering your company’s manual labor requirements so you can better allocate your assets. Whether you’re looking for an effective high-rise concrete boom pump or an answer for keeping pace on a massive commercial project, we have the solutions you’re searching for. Contact us by filling out our online request form to receive assistance from a knowledgeable, live representative. Photos and drawings are for illustrative purposes only. 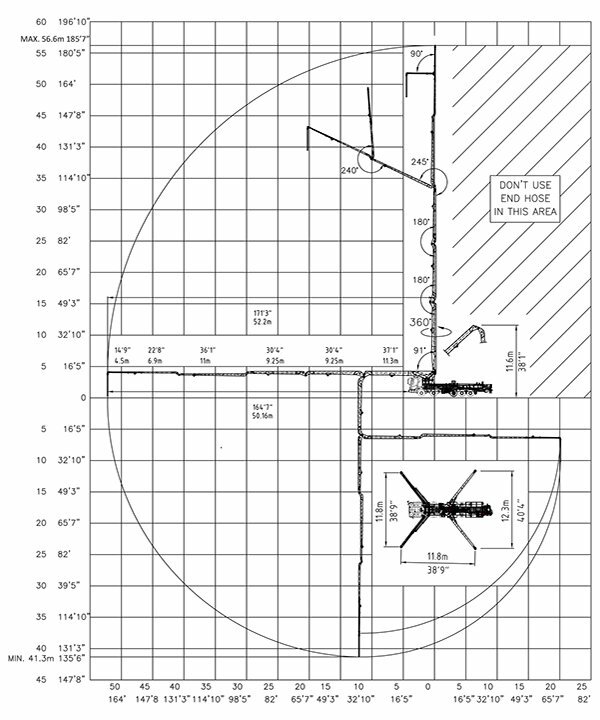 Dimensions will vary with different truck makes, models and specifications. For available options, please contact the factory. I used to buy Schwing and Putzmeister pumps, I switched to Korean manufactured pumps in 2004 and have never looked back. Vice President @ Dynamic Concrete Pumping Inc.